Kanak, the specialty Indian restaurant from The Trident, Hyderabad was recently adjudged the best North Indian restaurant in Hyderabad at The Times Food and Nightlife Awards, 2015. 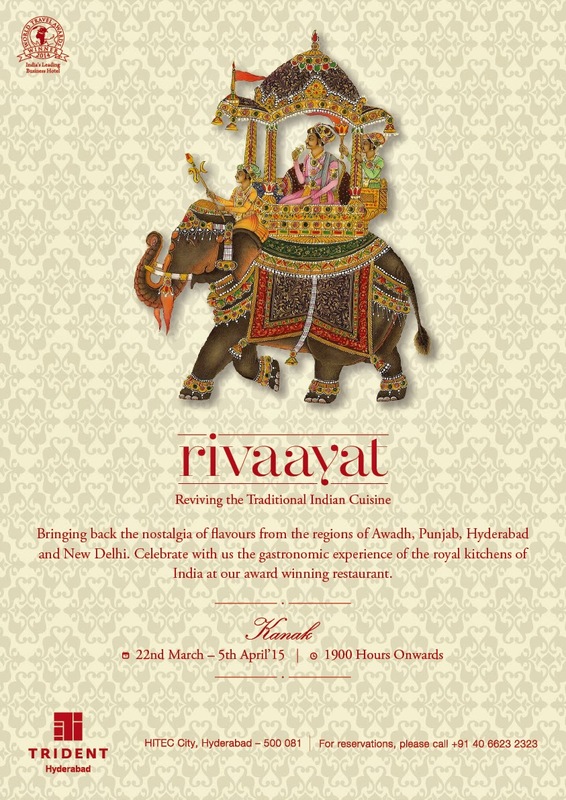 A couple of weeks after that, the restaurant is playing host to “Rivaayat” – a festival that revisits the traditional Indian cuisines. Many heritage recipes of India starting from Nawabi cuisines to the traditional street food have hardly been documented so far. As a result, many recipes have gone into oblivion and some are restricted within a select few families. Rivaayat, which in Persian means revival of tradition, has aimed to recreate these recipes. A team of master chefs across the Oberoi Group has worked in collaboration with Khansamas and well known experts of these cuisines to bring these recipes back and present them to the discerning food lovers of the country. Recipes have been culled out from deep interiors of Delhi, Awadh, and Rampur to revive dishes which were on the verge of fading away. 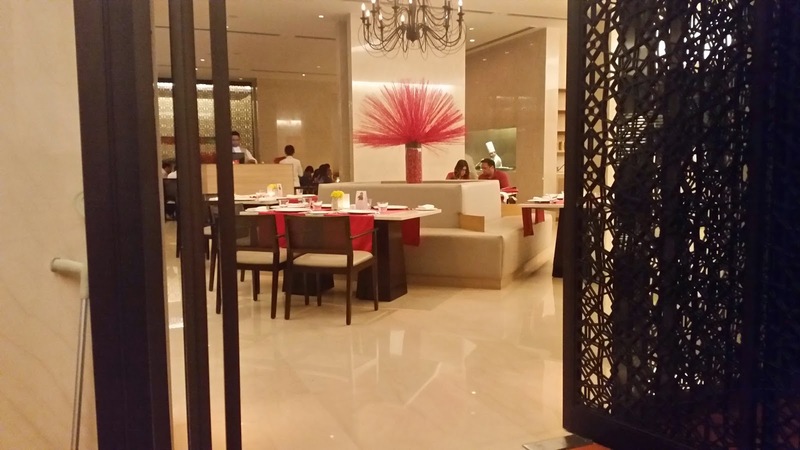 The festival had made its mark in Trident and Oberoi locations all over the country. 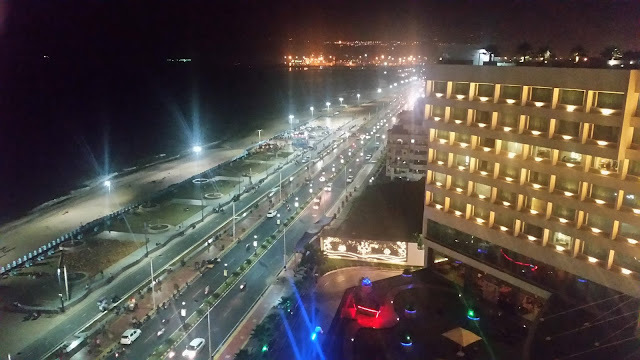 A couple of my friends had experienced it at Gurgaon and gave rave reviews. So I was more than happy when I was invited to sample some of the delicacies of the festival at a session organized by the restaurant. For the sit down dinner with a set menu, we were served some delectable starters from North India. Rampur, a kingdom close to Lucknow was the place where a variant of Mughlai cuisine evolved under the patronage of its Nawabs. 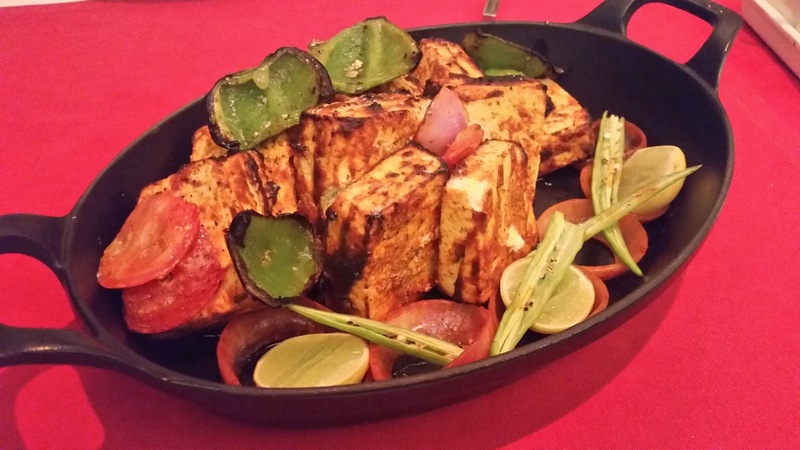 Aptly, we started with the Rampuri Paneer Tikka. 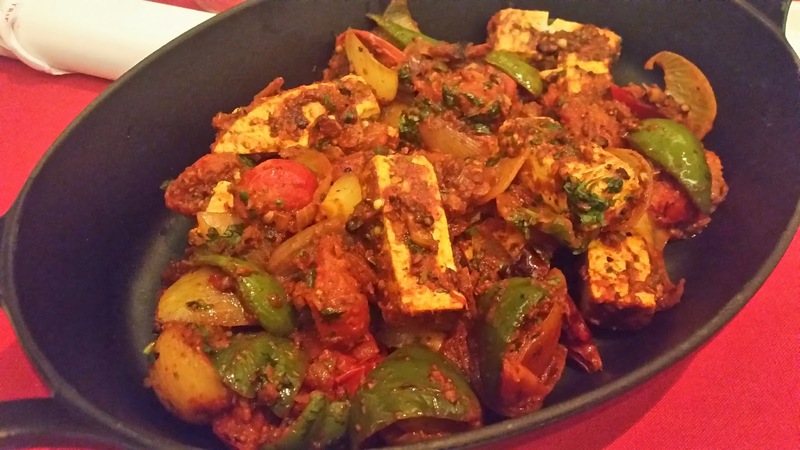 The paneer, served on a bed of capsicum, tomato, lemon wedges and slit green chilies was soft and layered with yoghurt based masala and had a distinct flavour of clove. 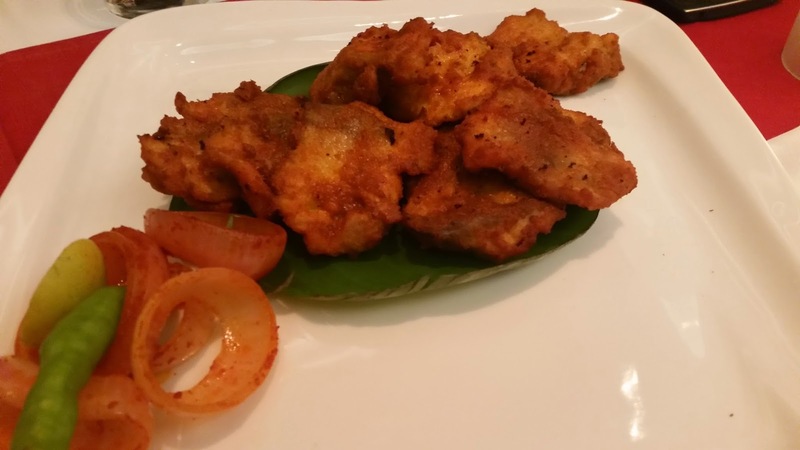 The Macchi Amritsari, (boneless bhetki fillets marinated in ajwain and masala and batter fried) was served next. The flavorful masala on the nice and soft fish made a nice jugalbandi with the green mint based chutney, though I felt it was slightly low on salt. I have spent considerable time in the by-lanes of Old Delhi, sampling the non-vegetarian street food out there, and for me the Purani Dilli Fried Chicken was a hit. 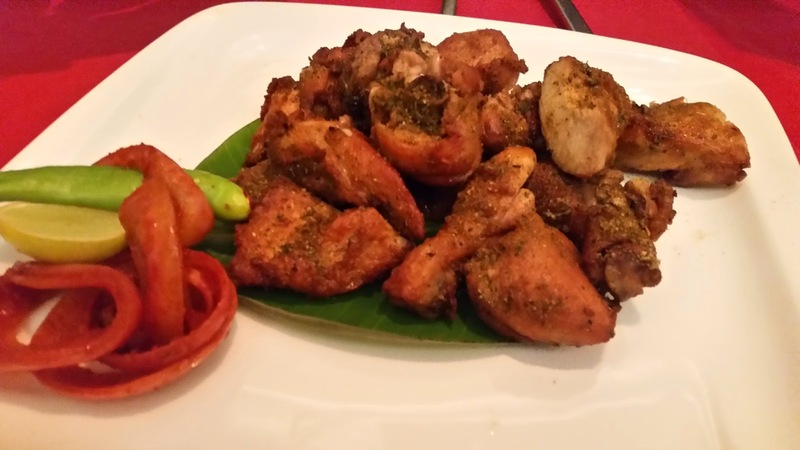 The chicken was soft and the special masala sprinkled on it really enhanced the taste. 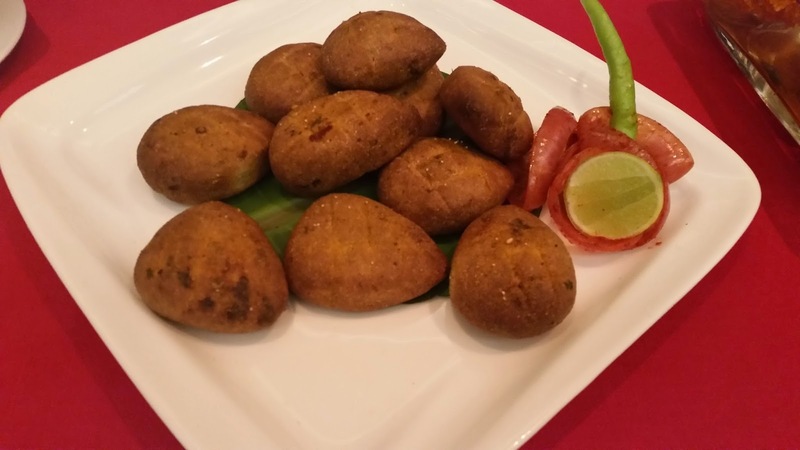 The festival is bringing out many other secret recipes from the Purani Dilli area. Galavat Kabab (more popular as Galawati or Galouti) served on small parathas is a must have Awadhi dish. Legend goes that this kabab was specially created for the Nawab who lost the ability to chew after losing his teeth, but did not want to give up his passion for his favourite meat. 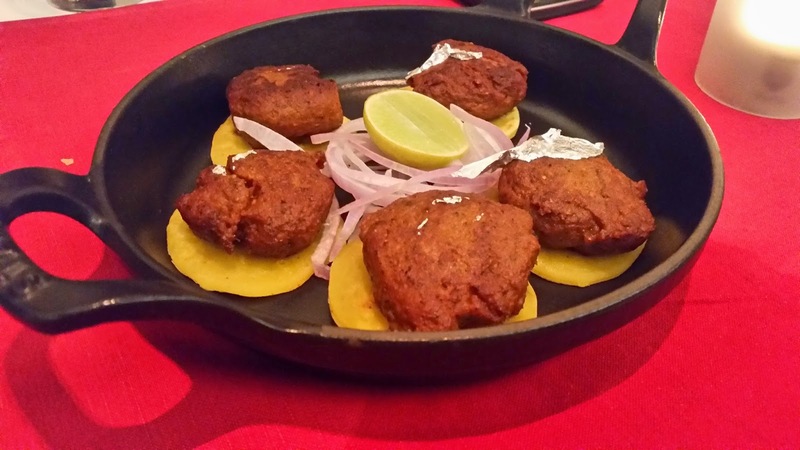 At Rivaayat, the masalas used in the minced lamb preparation were very fragrant, and the kabab was true to its name which means soft and melting. I had a tough time negotiating the Soya Ke Tootak with my cutlery. The sooji or semolina based exterior crust was hard and you need to use your hands. However the inside soya based filling was spicy and delightful. On with the main courses, the Purani Dilli ki Nihari, was a very light and delicious lamb curry, slow cooked to let the masala penetrate the soft meat. This was my top pick for the night, and one can visit the festival just to try this one dish. 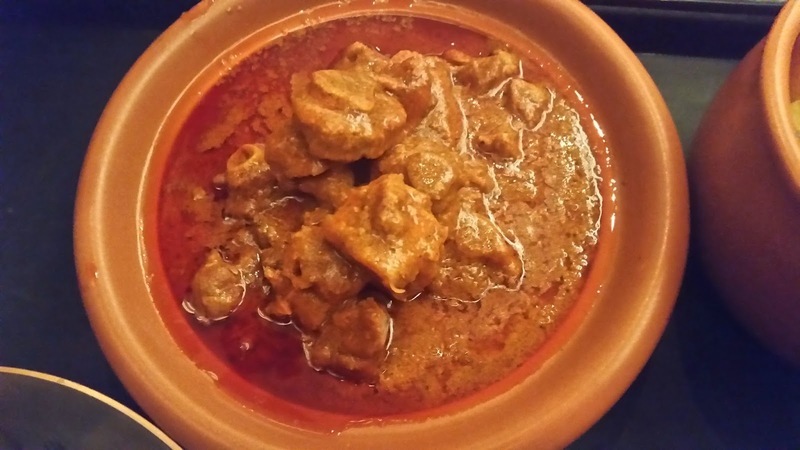 It can challenge the best Delhi Niharis available at Matia Mahal and the Urdu Bazaar Road. The Maratban ka Meat was a lamb dish prepared and stored in an earthen pot (called maratban) resembling a pickle jar. A spicy and an oily preparation, this was a new dish which I hadn't tasted before and went well with the naans served with it. The look of the Bharwan Amchori Bhindi and Pyaaz made me nostalgic. The amchur stuffed bhindis had the right amount of spiciness and reminded me of the similar versions which had been my favourite during the student days in Banaras. The Pindi Chole and Kadai Paneer were well prepared too – rarely have I been to a place where I liked all of the main courses. The Awadhi Chicken Biryani was quite flavorful though the rice was a trifle dry. A special mention should be made of the light daal served as an accompaniment. It tasted great both with the naans as well as the Punjabi Mattar Pulao. 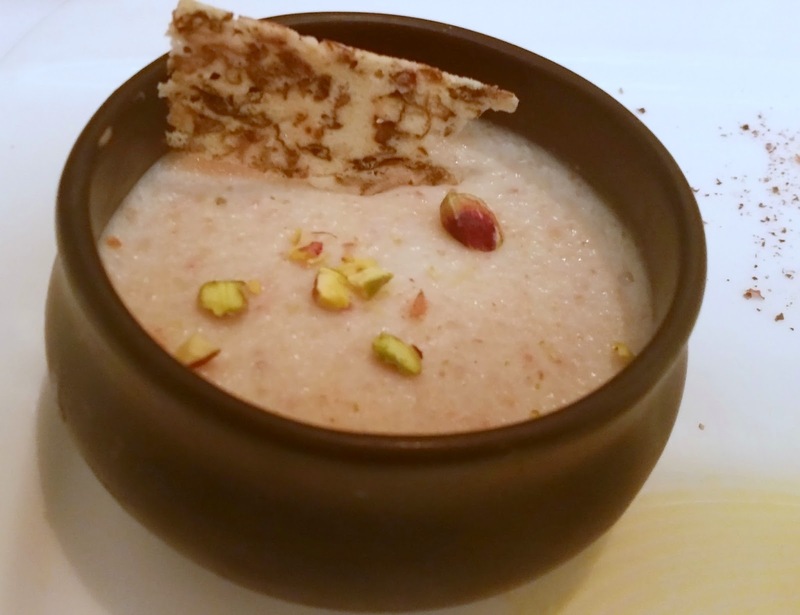 The desserts of the day were Gulabi Phirni (Rose flavored broken rice pudding) and Dry Fruit Dudhi Halwa (a nut rich lauki based sweet). Executive Chef Manik Magotra was on hand to fill us in on the cuisines and explain the nuances of the preparations. 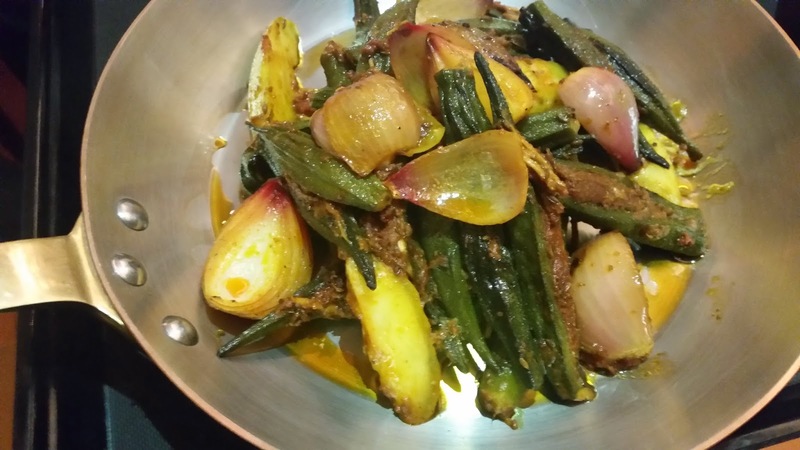 Rivaayat is commendable, not just for the recipes and their taste, but also for the initiative taken to identify and document the heritage recipes. 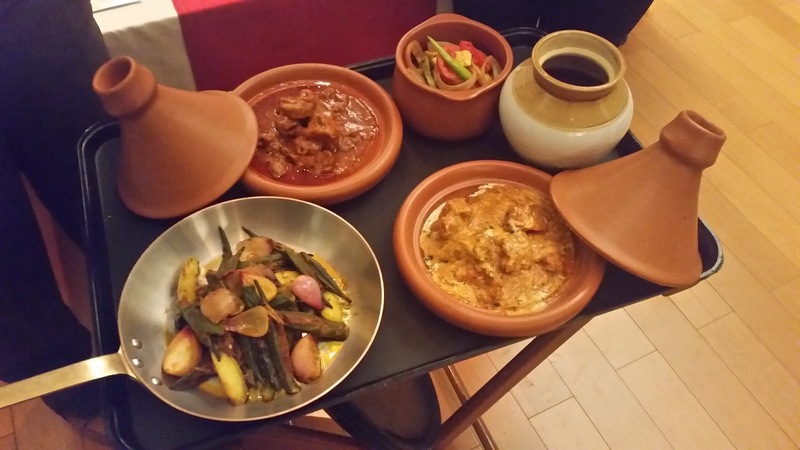 The niche menu has a range of traditional delicacies, which you do not get to try out in regular food festivals. The a-la-carte festival is on at Kanak from 22nd March to 5th April, 2015, 19:00 pm onwards. Approximate cost: Rs 2000+taxes for 2 persons. Nice article. I am happy to visit your blog. Thanks for sharing.